Josetsu in July . . .
How do you catch a catfish with a gourd? 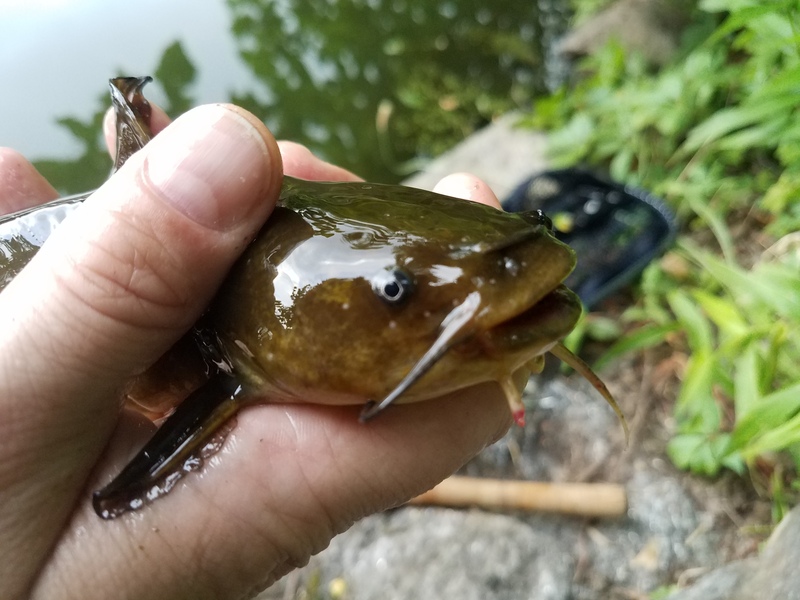 Catfish like the black bullhead will be a game opponent in summer if one waits for lower light and goes slow on the presentation speed. Evening lifts the direct sun off the lake and Ameiurus melas returns from the lake’s deeper places, the sinks and channeled centers, onto the flats, shallows where lily pads and branches attract diverse creature protein. Places storied as the same of the bass and other sunfish. 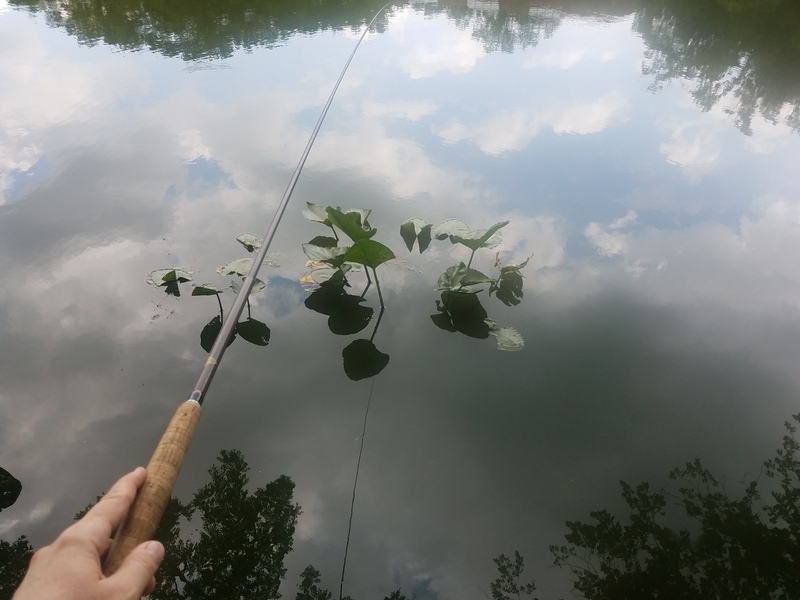 The approach best calm, cautious, the fly, for me my one fly; a Green Guarantee kebari pattern, one that earlier lured a bluegill from the same end of the lake. 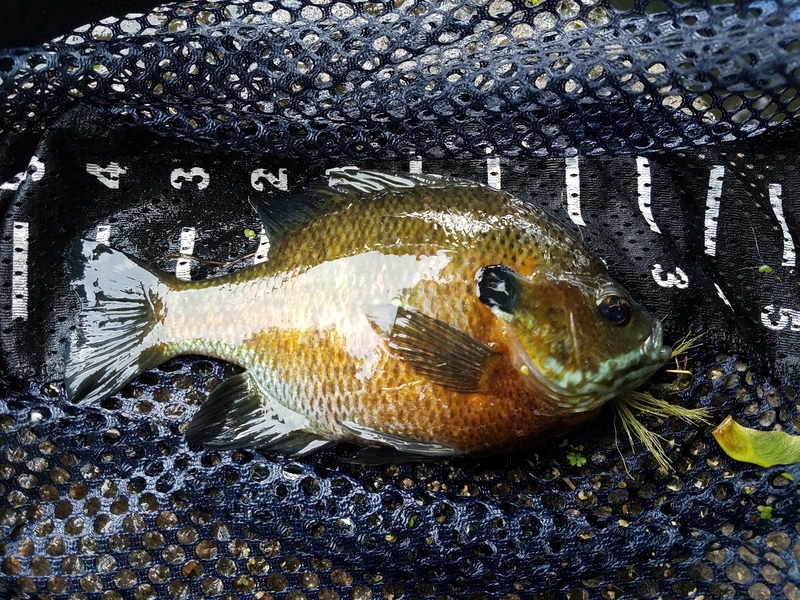 This plump pond permit flattened my Green Guarantee. Slowed to a crawl, patience through repetition gets to be rewarded by a sudden tug, the shake of the head that compels the wrist to lift, set, find a fish on the line. 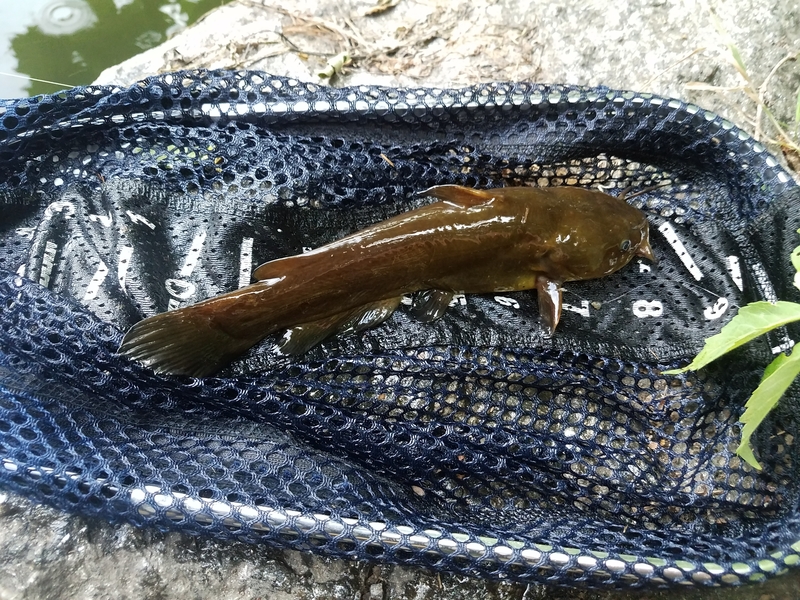 July evenings may find the finned to be a black bullhead catfish. Whenever I see this fish family’s end game wrestle about the surface, I see the whiskers, and smile. We two, this fish and this fisher, are quite alike, even in the face. Josetsu and the elder shogunate clans, I hope, approve. Black Bullhead the size of a zucchini . . . GOURD.